Housecarl Invader is a Boss in Immortal Unchained. 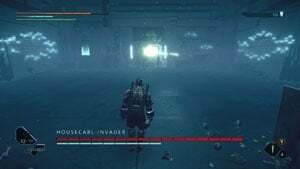 Housecarl Invader is the 1st boss in the game. Weakness is on his back, maybe there's a way to get him to expose it? He sure enjoys rushing you down doesn't he?